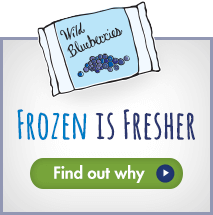 The perfect combination of crunchy and sweet, this delicious dessert delivers twice the antioxidant power of regular blueberries by using frozen fresh wild blueberries instead. 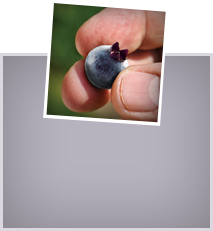 Known for their more intense blueberry taste and beautiful color, these scrumptious little berries are wonderfully convenient and perfect for pies, cobblers and crisps! Preheat oven to 325°F. 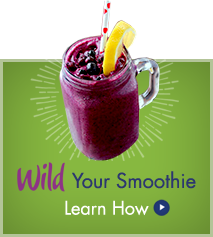 In a small bowl, combine the Wild Blueberries, sugar, lemon rind, and apples. Mix well and place in a well-buttered 8x8x2” pan. In a medium bowl, combine brown sugar, cinnamon, nutmeg, flour, pecans, oats, salt and rub in the butter with your fingers until it resembles coarse crumbs. 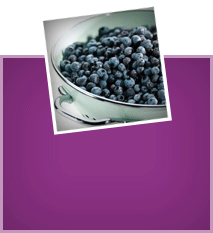 Spread evenly over the Wild Blueberry filling. Bake 45 minutes or until the crust is brown. 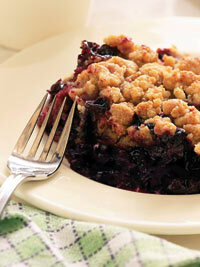 Wild Blueberry Crisp serves 6.